Joan Collins has one, now you can buy one too and raise money for charity. 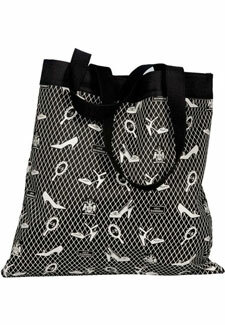 Top British bag designer Lulu Guinness has created this exclusive tote bag to raise money for The Royal Marsden hospital in London, a world-leading cancer centre specialising in cancer diagnosis, treatment, research and education. At £15 plus p&p, 100% of the profits go straight to the hospital – a great idea for a Christmas gift. To order online, go to Lulu charity bag.